Welcome to National Stroke Registry Programme. Population based Stroke Registries are essential to understand the burden of stroke in populations, within country variation in stroke incidence, trends in occurrence of stroke, and monitoring the interventions to reduce stroke incidence. 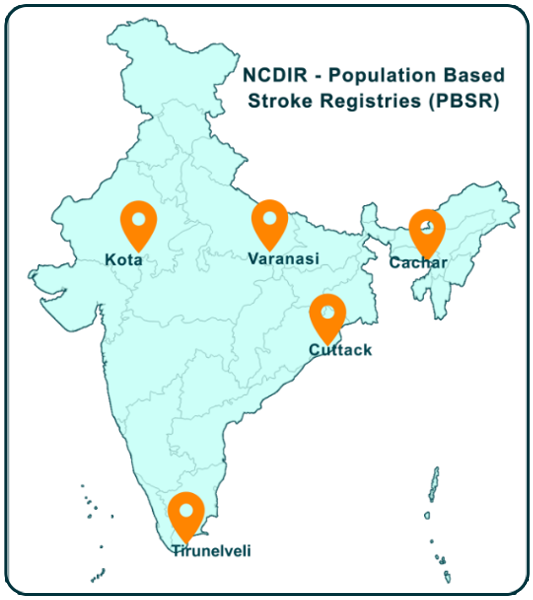 Population Based Stroke Registry (PBSR) has been initiated in one geographical area from the south, north, east, west and north east regions of India. PBSR shall collect information on incidence of first ever stroke in defined populations. 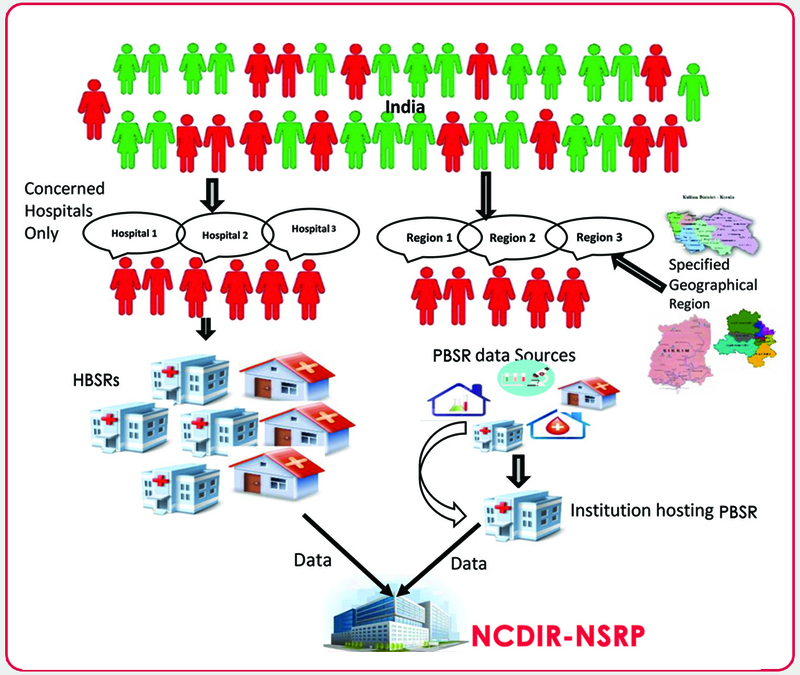 Data shall be collected by active case detection from multiple sources (hospitals, nursing homes, clinics, GPs, imaging centres, other centres, and death certificate verification for stroke) by a PBSR team housed in a Medical Institution identified as the PBSR centre. The PBSR Centre will collaborate with as many centres in a given area to record all incident cases of stroke using a Core Form. The Department of Health Research Scheme on 'Multi-Disciplinary Research Units (MRUs) in medical colleges' has been supporting government medical colleges with infrastructure and building capacity so as 'To undertake research in non-communicable diseases'. The selected centres are Medical colleges that are MRUs. HBSRs shall collect information on patterns of care in patients with Stroke. HBSRs will be initiated in hospitals treating stroke patients in different parts of India.